324 Howth St San Francisco, CA. | MLS# 465298 | Andrew de Vries, Probate Real Estate, San Francisco Probate Real Estate, Oakland Probate Real Estate, Berkeley Probate Real Estate, Alameda Probate Real Estate, Lafayette, Contra Costa Probate Real Estate, Probate realtor, Probate agent, Probate Broker. 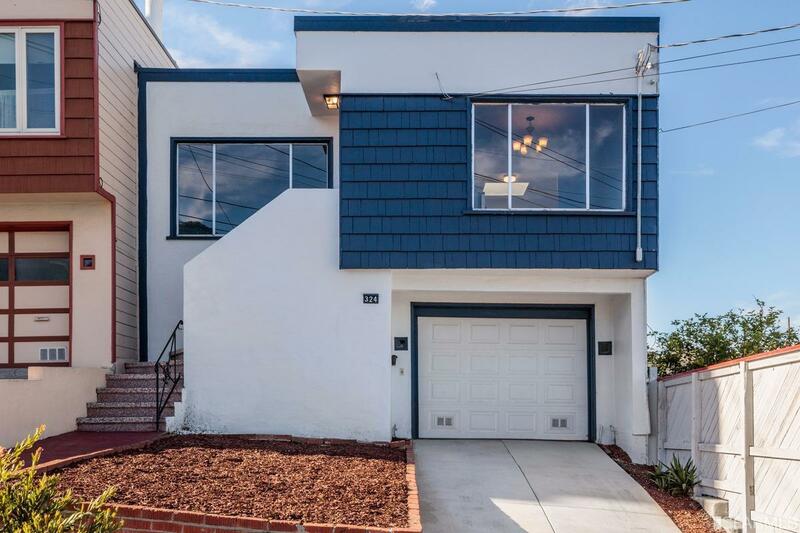 Ingleside 3BD/1BA Mid-Century View Home Steps from Balboa Bart, 280/101 Access, Local Schools & Parks, and Ocean Ave and Mission Street Shopping and Dining. This 1955 charmer features a living room/dining room combo with East-facing views to the Bay, an updated kitchen, 3 ample BDs and an updated BA all on the main level. Down is a large open garage with 2nd bath (likely unpermitted) ready for family room or master suite expansion. Large front and rear yards, afforded by the property's deep 100 ft lot, complete this unique offering. Come see the possibilities!